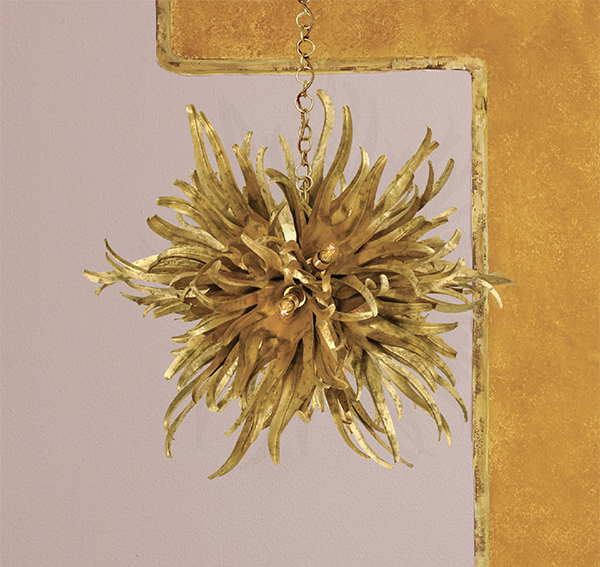 Porta Romana’s ‘Urchin’ chandelier tells a tale of two birthdays. The lighting company has been in business for 30 years, and has commemorated the occasion by donating five of the chandeliers to the Royal Academy – which, a couple of centuries ahead, is 250 this year. The pieces, which are made from hand-painted folded steel, and are based on the organic form of a chestnut seed pod, now hang in the Shaw Staircase. ‘Urchin’ is also available in a silver or white finish, and forms part of Chronicle, an eclectic new collection that also includes sixties- and seventies-inspired silhouettes, reinterpretations of heritage pieces and unusual textures and materials such as plaster and flock.